“We just wanted to say thanks so much for playing at our wedding – the music was absolutely perfect and really added to the day." 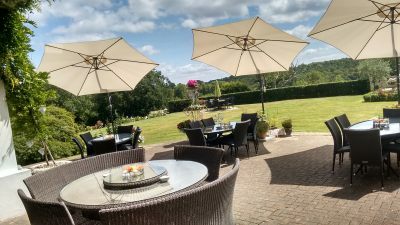 If you’re looking for a pianist for Russets Country House in Chiddingfold then you’ve come to the right place. 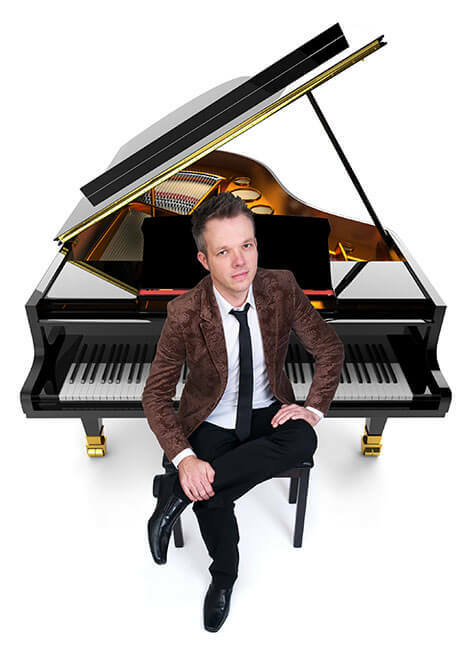 I am a recommended pianist for weddings and events at Russets and play there more regularly than any other venue. It’s such a unique place – so elegant yet relaxed and effortlessly cool. 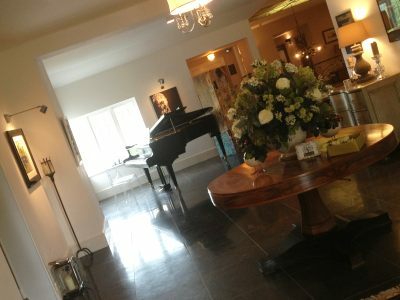 For a wedding at Russets Country House I always recommend having piano music as your guests arrive at the venue – the black Daneman grand piano in the entrance hall looks and sounds fantastic, creating such a lovely first impression. I can then move through along with your guests to the ceremony room, ready to play for your bridal procession and wedding ceremony music. For your drinks reception downstairs or outside on the terrace, I can provide an electronic piano which perfectly recreates the sound of a grand piano – either a standard keyboard-style piano at no extra cost, or you can hire my high-gloss black mini grand piano. You may have heard me playing at Russets during the Surrey Wedding Fair on Sunday 19th March 2017. For friendly advice from the leading contemporary wedding pianist in Godalming please email or give me a call at any time. You’ll find my contact details below.